Tech Gadget related blog. Having an Issue Antivirus, Social media, PC Repair Online Support Help.Troubleshoot common issues. 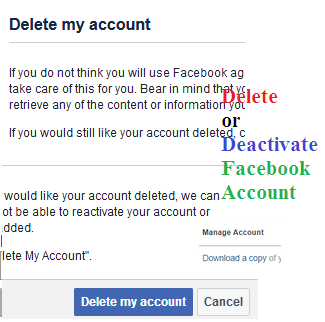 If you do not think you will use Facebook again and would like your account deleted. 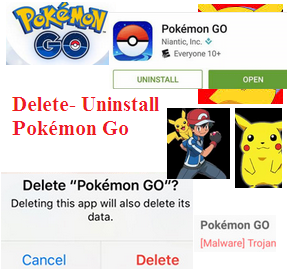 you can request to have your account permanently deleted. Bear in mind that you will not be able to reactivate your account or retrieve any of the content or information you have added. The deletion process begins 14 days after you submit your request. During this time, your account is in a deactivated state and you can choose to cancel your account deletion. A deletion request is cancelled if you log back into your Facebook account during this time. It may take up to 90 days to delete data stored in backup systems. Your information isn't accessible on Facebook during this time. Click account settings at the top right of Facebook page. Click General in the left column. Click Manage your account, then click Deactivate your account and follow the instructions to confirm. Some information may remain visible to others (example: messages you sent).